There are many reasons why someone may turn to almond milk. Increasingly it’s seen as a tasty substitute for cow’s milk for those with dairy intolerance or allergy. But even without having dairy intolerance many people now wish to lighten the load placed on their digestive system when they eat animal foods including dairy products , and so turn to cow’s milk alternatives. Many others drink almond milk simply for its delicious taste, at the same time reaping the health benefits offered by this vibrant nut. Nuts are little powerhouses of healthy goodness. Quick, easy and delicious they are power-packed with wonderful health benefits. While each type of nut differs in it’s composition and thus its particular health benefits, all have much goodness to offer and almonds are no exception. All nuts contain protein, and fibre but are low in carbohydrates. They also contain healthy fats. Many studies have found that in spite of the high fat content nut consumption is linked to a lower risk for heart disease. Almonds are high in monounsaturated fats, which is also the fat found in olive oil. However, almonds come in with a better ratio of protein to fat than other nuts. Many hold almonds in very high esteem and regard them as ‘nut royalty’. Monounsaturated fats are great for your heart health, helping to reduce cholesterol levels by reducing LDL, the ‘bad’ cholesterol. Some studies have shown that high levels of LDL cholesterol in patients were reduced with a diet containing almonds and other nuts. 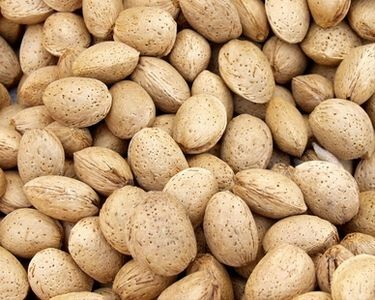 The Nurses Health Study showed that a 30% reduction in heart disease risk could be gained by replacing carbohydrates with an equivalent amount of nuts. A 45% decrease in risk could be gained by substituting the monounsaturated fat in nuts for saturated fats in meat and dairy products. Almonds are loaded with antioxidants which prevent oxidative stress caused by free radicals. Oxidative stress damages cells and contributes to many serious illnesses including cancer. Most of the antioxidants in almonds are found in the brown skin and eating nuts with the skin still on delivers double the antioxidants and double the protection for your cells. 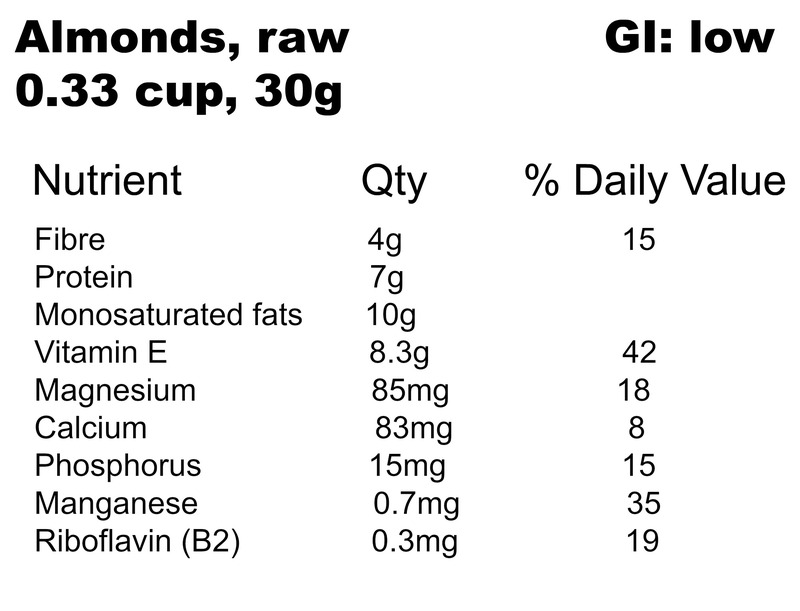 One of these cell-protecting antioxidants is vitamin E. In fact almonds are the best source of Vitamin E of any food. This antioxidant is particularly good for skin protection helping to improve its conditon and appearance and protect against the effects of aging. Many people are deficient in the fundamental mineral magnesium and this causes widespread health problems as magnesium is required for many, many body processes. Almonds are a great source of this vital mineral and just 60 grams of almonds, one small handful, provides almost half the recommended daily magnesium intake. Studies show that improving magnesium deficiency can reduce hypertension and LDL cholesterol levels. Including almonds in your diet supports the health of your cardiovascular system. It’s common for diabetics to have magnesium deficiency. High magnesium foods like almonds may be helpful in preventing blood sugar disorders such as insulin resistance, type 2 diabets and metabolic syndrome. Many people consume far too much omega-6 every day and not enough omega-3. The western diet provides a really unbalanced omega-6 to omega-3 ratio. It should be about 4:1 but in many cases it’s more like 10:1 or even 30:1 skewed to omega-6. Unlike walnuts which contain good amounts of omega-3 almonds are high in omega-6. 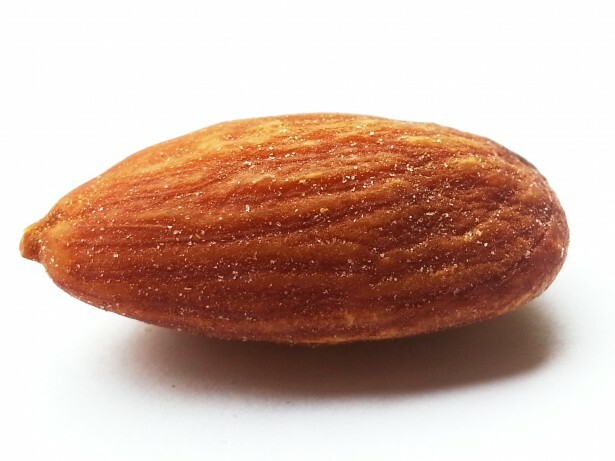 Eating lots of almonds could become a huge problem if you’re not regulating how much omega-6 you get from other foods, notably vegetable oils containing polyunsaturated fats. But almonds contain monosaturated fats which are a far healthier option than the polyunsaturated fats of vegetable oils. Sourcing the omega-6 essential fatty acids you require from almonds rather than less healthy foods is a smarter decision. Almonds are a great health food as they also contain a range of other wonderful nutrients. Embrace almonds as part of a healthy eating plan. Consider your diet as a whole and replace unhealthier components with nutrient-rich almonds. Home made almond milk is a wonderful substitute for dairy milk. It’s nutritious, being high in protein and of course healthy fats. It also contains fibre, Vitamin E, the minerals phosphorous, magnesium, copper, selenium and calcium, the amino acid tryptophan, as well as flavonoids. In addition it has no cholesterol. It has a slightly nutty taste and a creamy texture and the flavour is lighter than soy or rice milk. 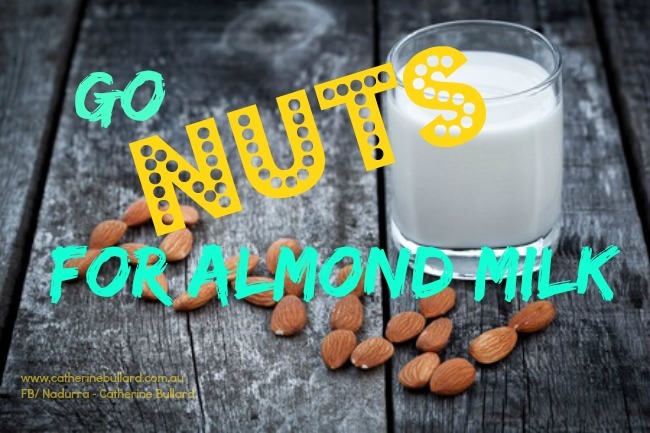 Of course almonds are a tree nut so almond milk isn’t for anyone with nut allergies. Almond milk is widely available through supermarkets as well as health food shops, but is pricey and unfortunately some brands are sweetened. A number of brands have a very low percentage of almonds in them, which greatly reduces their nutrient value. By making your own nut milk you can increase the nut content and so the nutrients, dramatically. Almond milk is good cold, in tea or coffee, smoothies and can also be used for cooking items like cakes or soups. I use it, but in small quantities and so often end up throwing quite a lot out from the bought boxes, which means making my own is a great option. Almond milk is really easy to make and the best thing is you can make it in just the quantity that you need, so no problem with it spoiling. It’s simple to adjust the recipe to suit your own personal preferences. For instance, you can flavour the milk with spices to suit your taste, a great option if you’re creating a dish where you want a specific flavour. Plus, you’ll have the leftover pulp to use in cooking, so you get the health benefit of every part of the almond. Soak 1 cup of fresh, raw almonds in filtered water overnight. Make sure there’s extra water to allow room for swelling. Remove the almonds from the water. For a less gritty texture, remove the skins. If you want a richer flavour toast the skins lightly. Place the cup of almonds in a blender with 2 cups of filtered water and blend on high speed until creamy. Add flavouring like cinnamon, honey, cardamom, saffron or a pinch of sea salt and then blend again, if you like. Strain the mixture through cheesecloth or a fine strainer to separate the pulp. You can drink it immediately or for a creamier version, leave it covered in the fridge overnight. It keeps in the fridge for up to a week. The remaining pulp can then be roasted dry and stored in a jar to use as almond flour. Or you could place the almond skins and the pulp in cheesecloth to use as an invigorating body scrub.